Our philosophy is to provide a very personable service where we approach your problems as a whole, understanding your way of life. The smallest detail can make a significant change. At Physio Team-Works clinic, we provide the highest standard of care possible to all our patients and clients. We achieve this through concise, excellent diagnostic skills based on good clinical evidence. Call 01457 837 211 to speak to one of our Chartered Physiotherapists to make an appointment or for advice. Your first physiotherapy session will be conducted in a private room on a one to one basis with strict confidentiality. You will be asked a series of questions to note your current complaints and any past medical history that is relevant. The progression of this revolutionary treatment over the past two decades means that Shockwave Therapy has become an almost standard treatment choice and can now treat more conditions than ever before. 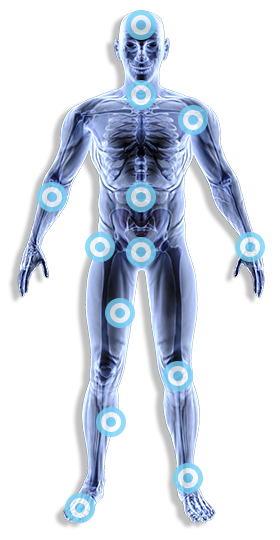 Acupuncture is the use of a variety of physical techniques to stimulate the body’s own healing potential. It is a part of Traditional Chinese Medicine (TCM), a system that includes herbal medicine, therapeutic massage, and exercise.